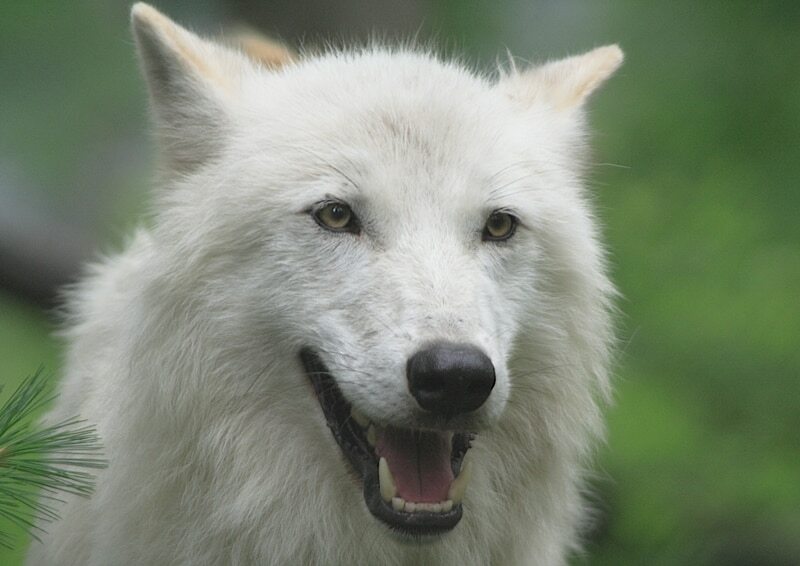 Atka lived to be the oldest ambassador wolf at the Wolf Conservation Center (WCC), passing away peacefully in September 2018 at 16 years old. He arrived at the WCC from Minnesota when he was just 8 days old. The confident and charismatic ambassador won the hearts and opened the minds of hundreds of thousands of people throughout his storied career. 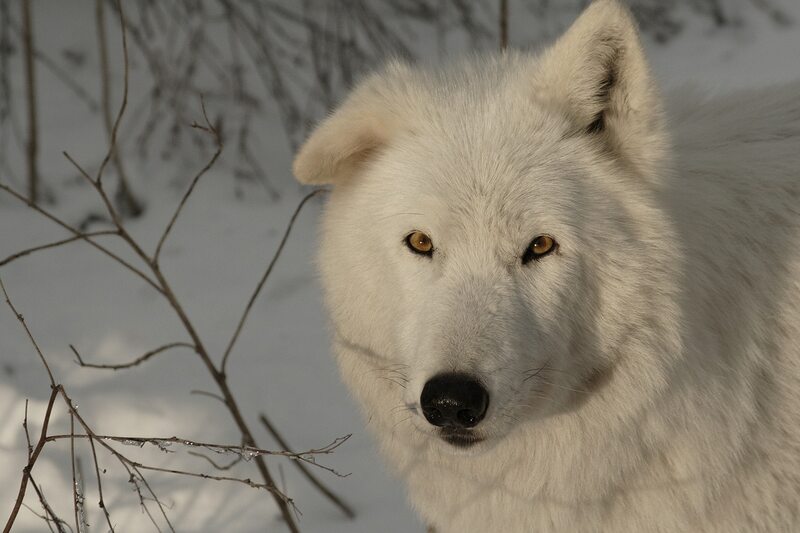 As an important player in the fight to preserve wolves’ rightful place in the environment, Atka’s credentials are beyond dispute. Because Atka retired from his career as a traveling Ambassador in 2016, he interacted with fewer people than he used to and we realized he missed communicating with his fans. So, after the long, requisite talk about safety, etiquette, and responsibility, for his 15th birthday in May 2017, WCC staff gave Atka his very own email account at [email protected]! Atka isn’t just a luminary in the world of conservation, he's a superstar! 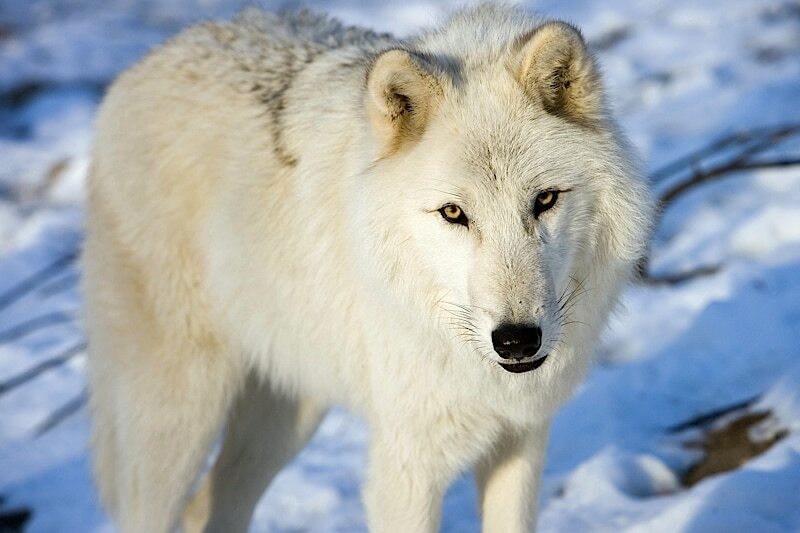 Thank you, Atka, for allowing the world to form lasting connections with not only you but your wild kin as well! We will always remember and honor your wild legacy. 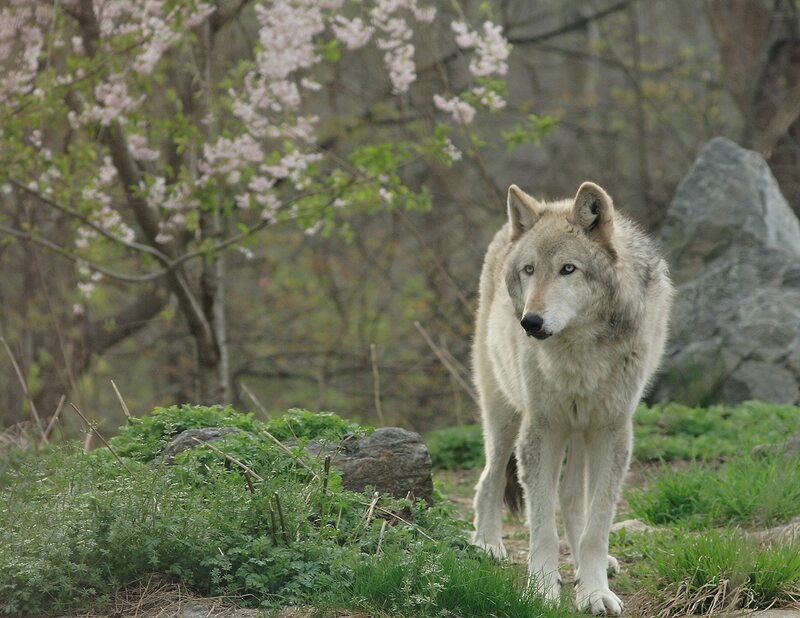 Kaila was the quiet queen of the Wolf Conservation Center’s (WCC) founding Ambassador Pack. She pioneered the WCC’s education program as the center’s first wolf and witnessed the organization flourish over its first decade. Described as a real spitfire in her youth, Kaila grew warm and committed to the younger wolves when welcoming them to her pack. Despite forever dodging the spotlight, she was a vibrant star and the keystone of her family. She occupied the lowest ranking in the pack hierarchy which by no means suggests that she was the least important or loved. It was Kaila’s role to furnish cohesion among her “brothers”, an essential characteristic for a successful pack. 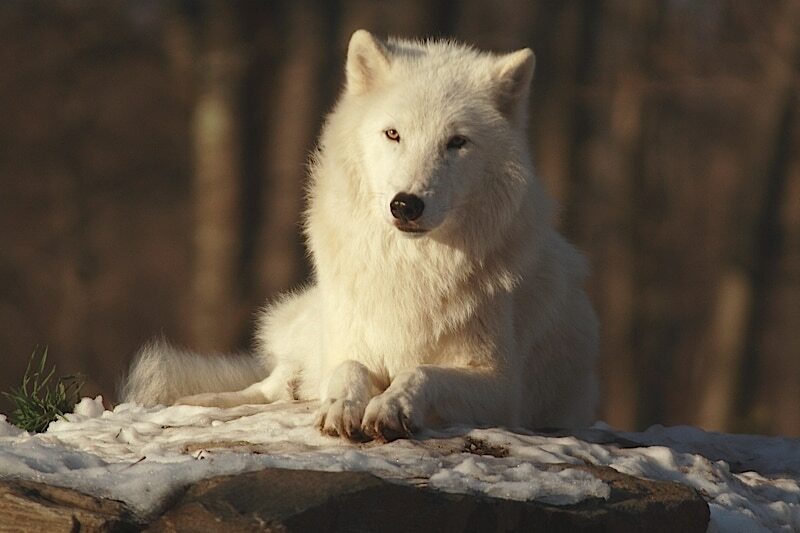 Widowed twice over in 2010 with the passing of Apache and Lukas, Kaila continued to quietly win the hearts of visitors until February 21, 2011 when she died of old age. 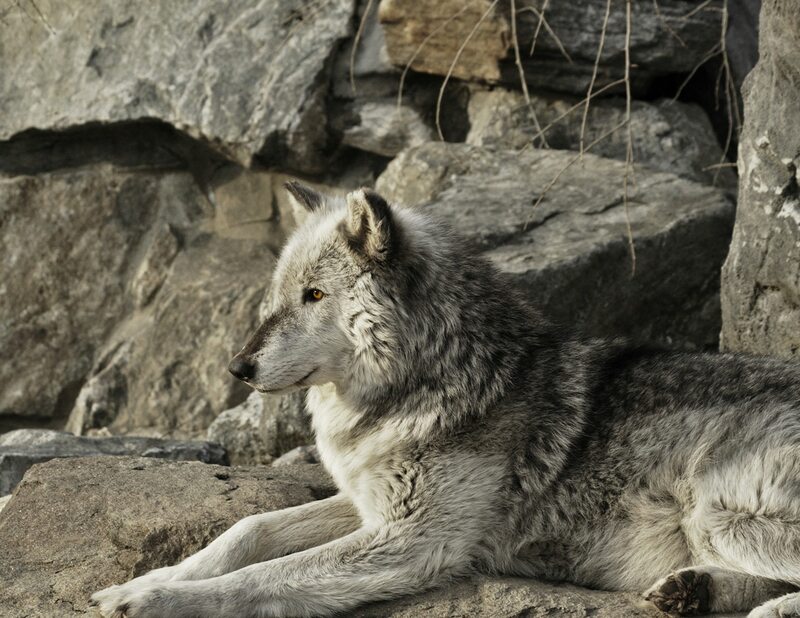 Lukas was second in command in the Wolf Conservation Center (WCC)’s founding Ambassador Pack, loyal to the end to his leader and dear friend Apache. The largest and likely strongest of the ambassador wolves, Lukas never tried to depose Apache; he was the perfect “wing-man” - a brawny and faithful comrade. Although Lukas was known to maintain a safe distance from human visitors, his presence never failed to impress those he met. 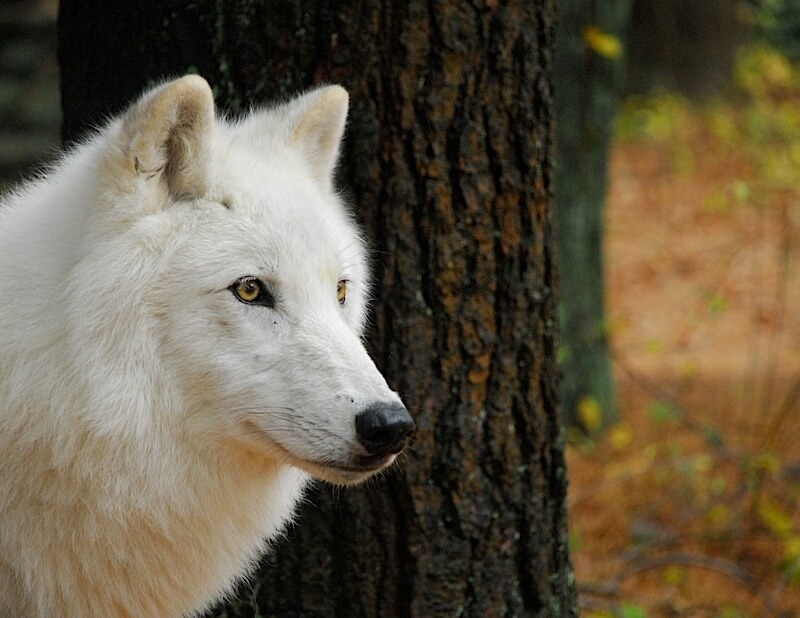 His piercing eyes and high-pitched howl enchanted visitors, staff, and volunteers alike. Ladies couldn’t resist falling for him! Lukas was a beautiful animal and he served as an impressive ambassador for his wild brothers and sisters. Lukas died on August 20, 2010 just five months after the loss of Apache. The timing was painfully fitting, the beta forever devoted to the alpha of the pack. 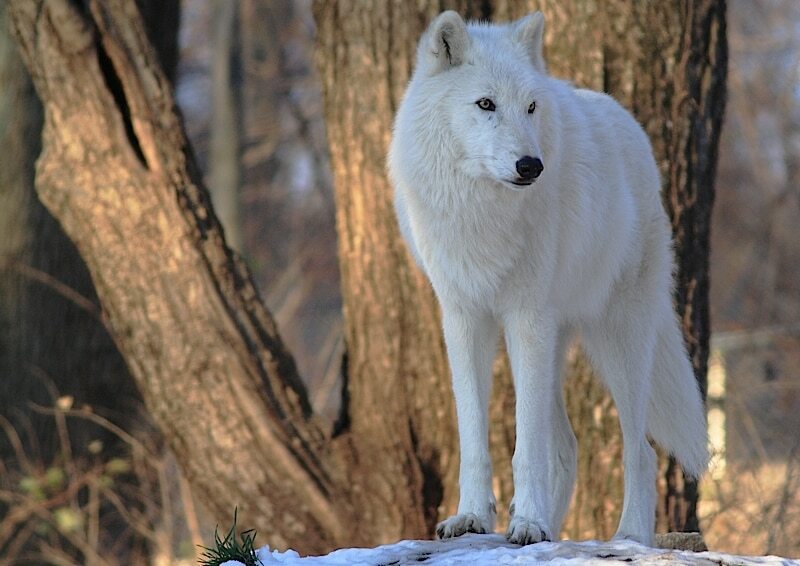 Apache was the self-appointed alpha wolf of the Wolf Conservation Center’s (WCC) founding Ambassador Pack. 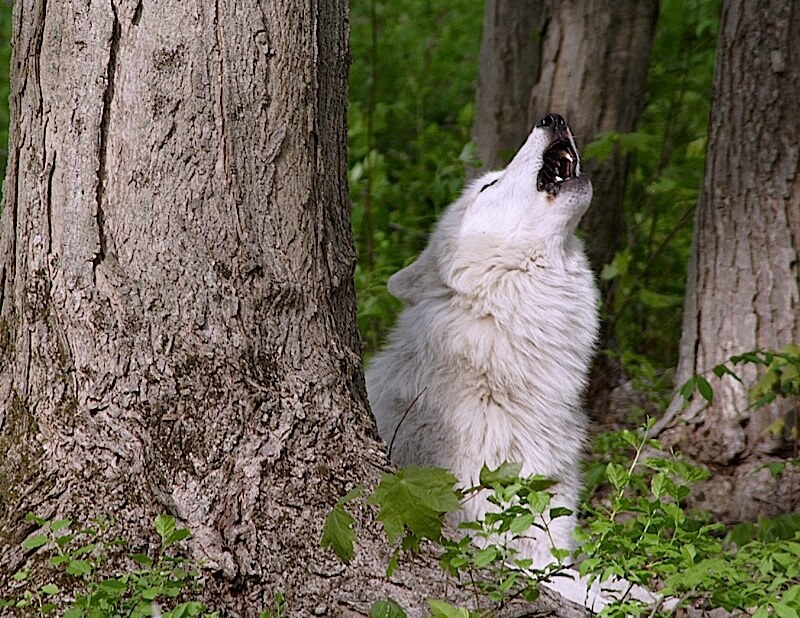 With a distinctive howl, he thrilled tens of thousands of people who were always happy to howl along with him. With one perpetually floppy ear thanks to some less-than-tender discipline from Eno, the German Shepherd that helped raise him as a pup, Apache sported a jaunty look that perfectly complemented his disposition. He was a benevolent pack leader with a personality that charmed staff, volunteer, and visitors alike. Apache truly left his mark on the world, literally and figuratively. We hope those he touched will be inspired to improve the world by leaving their marks as well.